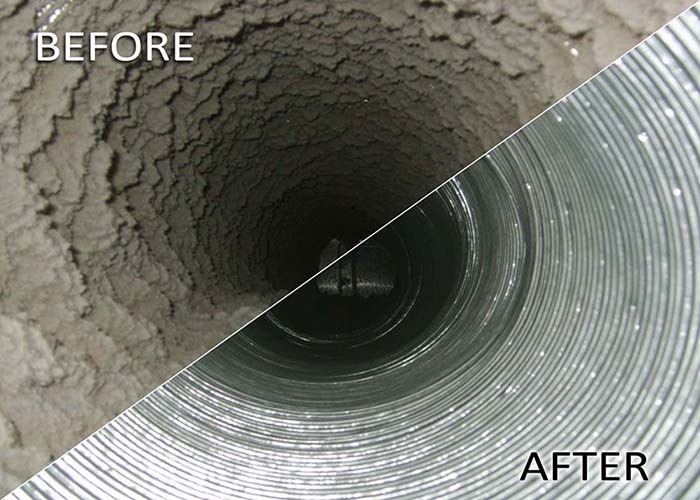 Air Duct Cleaning Services - Sweep&apos;s Luck - Chimney, Dryer Vent and Air Duct Cleaning company serving San Diego and Lake Arrowhead. Improve the efficiency of your H-VAC system which can save you money! Does anyone in your family suffer from allergies, asthma, headaches, sinus or nasal congestion? Have the symptoms gotten worse lately? Do your registers seem like they are not blowing enough air out of them? Do you have dust or debris hanging on your registers? Do you seem to have more dust in your home than normal? Is it taking longer than normal to heat or cool your home? ​If you answered yes to any of these questions, your air ducts may need cleaning. Sweep’s Luck air duct cleaning services can assist you. What do your air duct cleaning services include? We also have a video inspection system we can use if needed during the cleaning process to look for damaged ducts or anything that might be blocking your air duct system. Sweep’s Luck has the most advanced air duct cleaning equipment available today. Call today for a free estimate. (909) 337-0256.